This fascinating Ladakh Trek is superb holiday journey in India. The eye catching views of Saser Kangri (7,672 m-25,170 ft), the highest peak around Ladakh and Zhanskar range of mountains with Stok Kangri at (6,121 m-20082 ft) made the area super highlight. 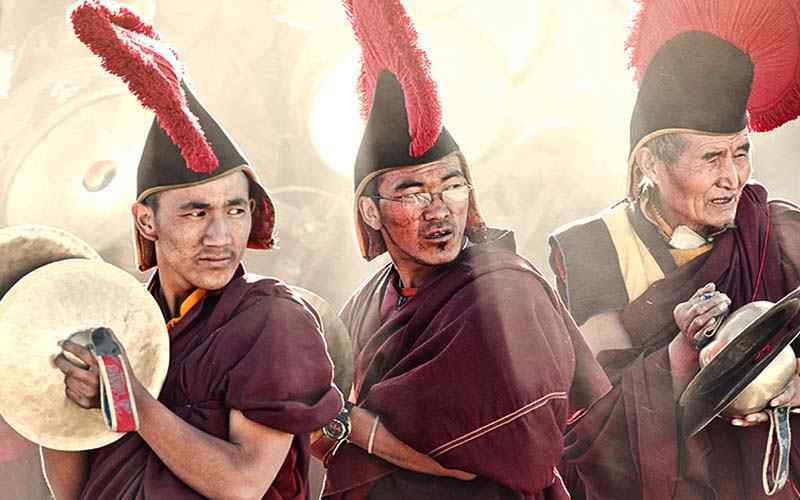 Ladakh, located on North of India within the state of Jammu & Kashmir, the only Buddhist religion province, in a Muslim dominated state. The amazing high-altitude desert Ladak straddles with northern border Tibet and North West with Pakistan. Ladakh is sheltered from rain shadow of Indian monsoon by the barrier of the Great Himalaya, with occasionally stray monsoon clouds finds their way over the Himalaya. Ladakh lies at altitudes ranging from about 2,750 m-9,022 ft at Kargil to 7,672 m-25,170 ft at Mt. Saser Kangri in the Karakoram with summer temperatures rarely exceeding about 27º C in the shade, while in winter they may plunges to -20º C even in Leh, the main town and capital of Ladakh. Trekking in Ladakh is a remarkable experience. 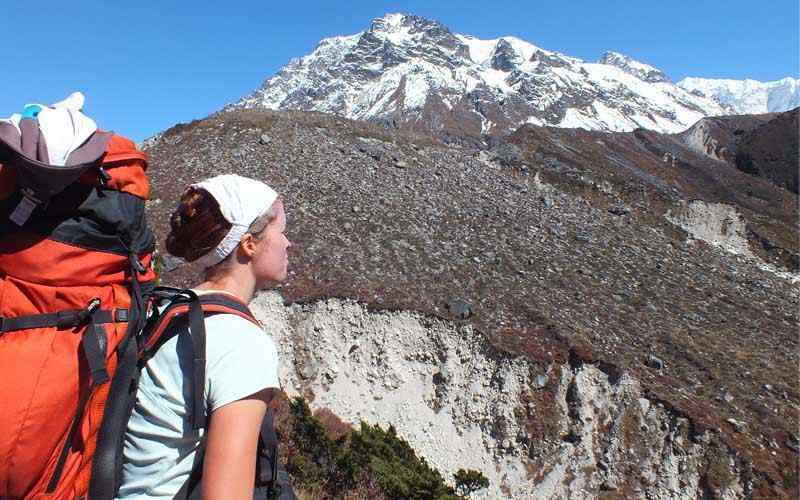 One does not need to be physically fit; but determination and interest can take part in short trekking around Ladakh. Some of places might be tough with high passes and long walks on the dry arid terrain and windswept landscapes. However, the days are lovely with warm, even hot, due to the desert effect of the barren landscape; evenings can become chilly. Trexmount Ventures crew will be ready to begin your venture after your arrival in Delhi via respective countries and airlines. In Delhi our guide will take you on a tour on this city steeped with old history from Mogul period. Visit the Red Fort, Qutab Minor and Delhi Gate and the colorful bazaar around Old Delhi, the symbol of old India and new? Even the stones here whisper ages of long ago and the air is full of the dust and fragrances of the past, as also of the fresh and piercing winds of the present. 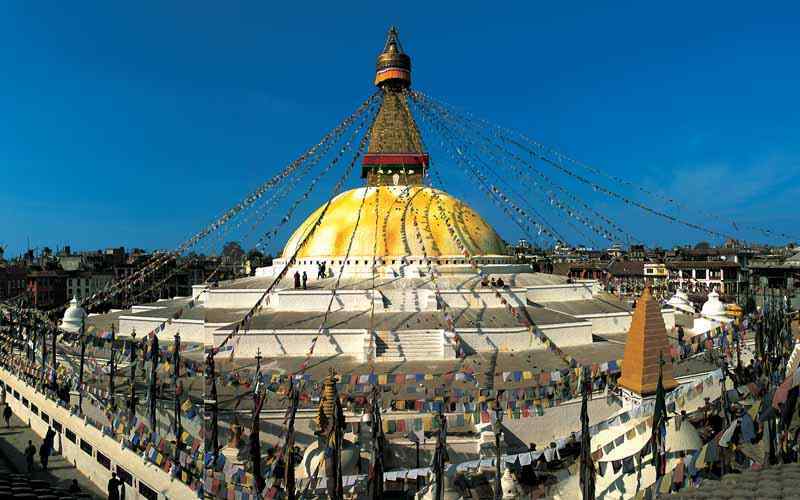 From Delhi, you will take a short flight to Leh in Ladakh at 3,550 m-11646 ft, a Buddhist religion province, sandwiched between Muslim State of Kashmir which borders Pakistan and Tibet. 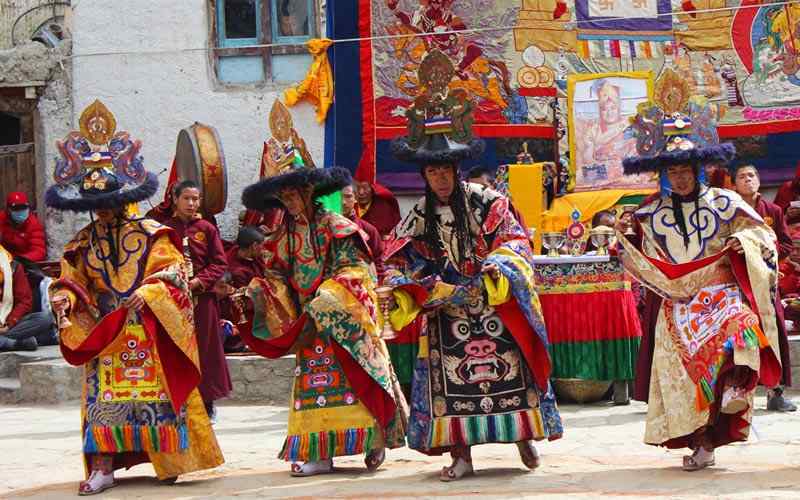 In Leh with acclimatization days, tour monasteries and ancient fort Dzong palace and the interesting market areas where you can observe the local Ladakh people with their daily life, with their culture, customs, traditions similar to Tibet in Buddhist religion also. After a wonderful time in Leh, our adventure leads to a drive to the start point of trekking at Likir Topko, a small village with an old monastery built in 1065 AD there a 200 monks reside in the monastery. From here trek towards complete wilderness to Yangthang, Rizong to Hemis area at Sukhpachen with awesome views of Zhanskar range of snow peaks, including the beautiful Indus River Valley which is overshadowed by spectacular Stok Kangri (6,123 m-20,088 ft) and Kang Yatse (6,400 m-20,997 ft) peaks. Walk leads to a larger and prosperous Theisgam village of Hemis and Spituk area. On the next day head towards Ang, Khalse villages with a wonderful experience walking in the arid hills and windswept terrain and valley reaching Basgo where the road to Leh joins near Alchi close to India/ Pakistan border of Kargil. 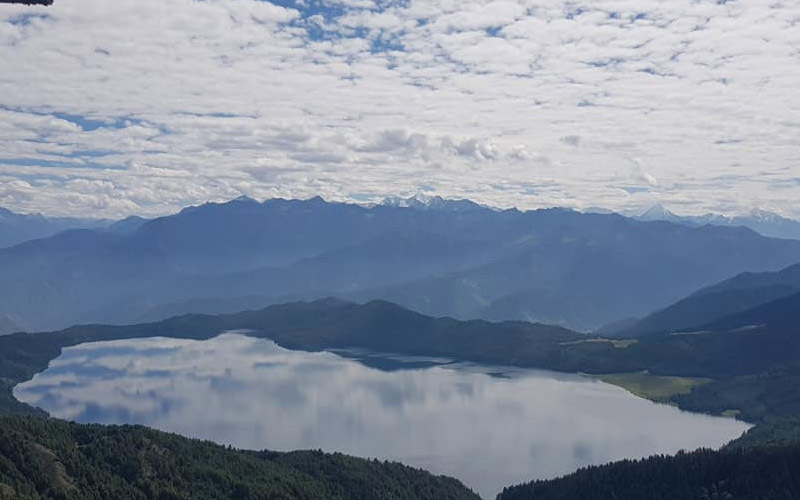 From here conclud the beautiful short walking adventure with a drive to Leh for last overnight in Ladakh before flying to Delhi and then to respective destination or next port of call, after a remarkable trip in ‘Ladakh Trek & Delhi Tour’. Day 01: Arrival in Delhi and transfer to hotel. Day 02: In Delhi with cultural / historical tour at places of interest. Day 03: Fly to Leh (3,440 m-11,286 ft) and transfer to hotel. Day 04: Drive to Likir (3,430 m-11,253 ft) via Phyan villages -02 hrs journey. 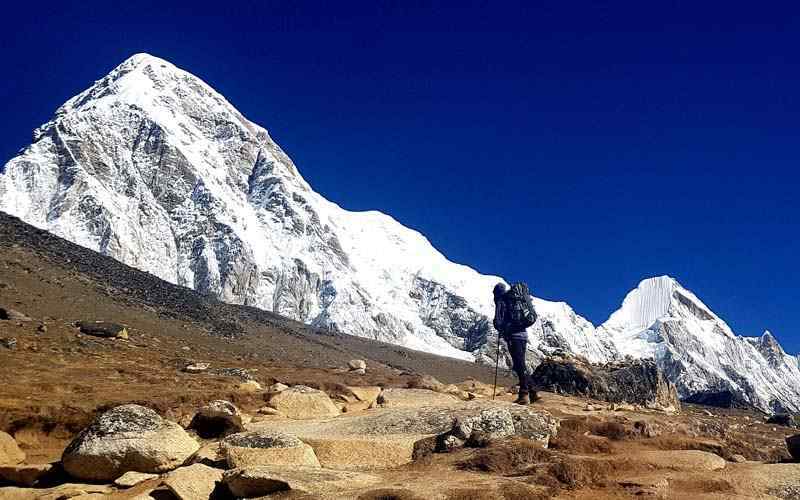 Day 05: Trek to Yangthang (3,600 m-11,811 ft) - 04 hrs. 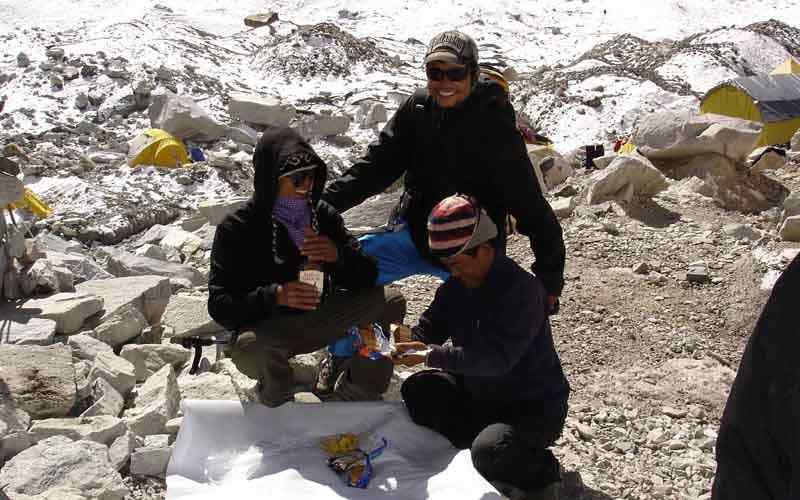 Day 06: Trek to Hemis-Sukhpachen (3,340 m-10,958 ft) via Rizong -05 hrs. 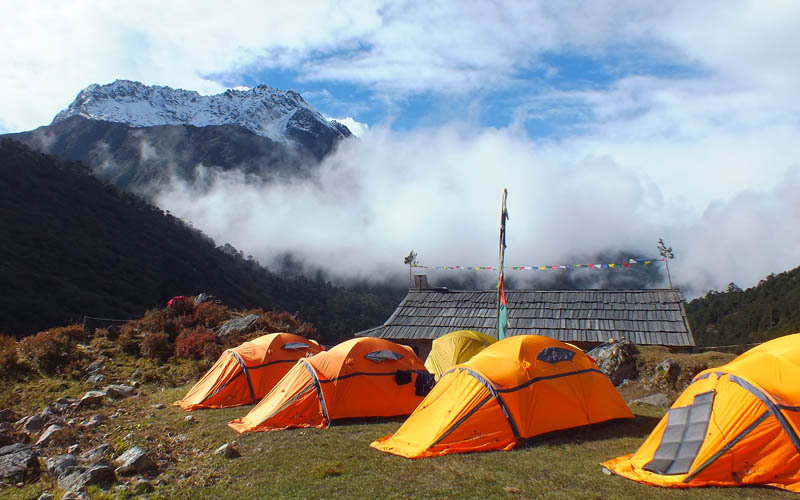 Day 07: Trek to Ang (3,200m-10,499 ft) via Themsigang - 04 hrs. 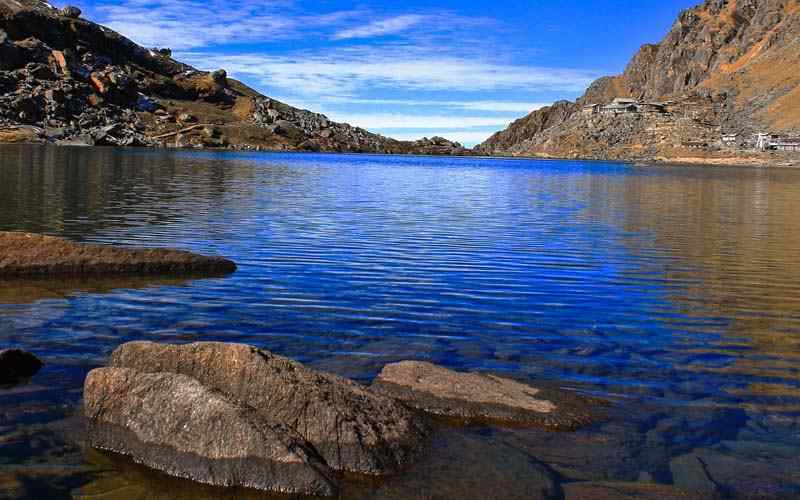 Day 08: Trek to Basgo (3,230 m-10,597 ft) after Khalse - 02 hrs. Day 09: From Basgo drive to Leh (3,450 m-11,319 ft)– 04 hrs. Day 10: Fly to Delhi and transfer to Agra - 04 hrs. Day 11: Visit famous Taj Mahal and drive back to Delhi. Day 12: Depart Delhi for international flight homeward bound. rendezvous in the hotel with other members for trip orientation, where our guide / leader will inform and brief regarding the Delhi Tour and Ladakh trek, hotels, do and don’ts with evening group dinner. Morning after breakfast as time set for the sightseeing tour, our city guide will lead you for few hours in our fascinating heritage and cultural tour around places of interest, tour of Quatab Minar, India’s Gate, Red Fort with old historical Palaces and courtyard; and then back to hotel after the wonderful tour, afternoon free for individual activities and preparation for journey to Ladakh. Morning after breakfast depart Delhi for the short scenic flight to Leh, Ladakh. During the flight experience an awesome panorama of the great Western Himalayan range of mountains with Zhanskar Himalaya which is the backdrop of Ladakh area. On reaching at Leh at the height of 3,440 meters, here received by our native Ladakhi guide from our counter agent in Ladakh, transfer to hotel in the hub of Leh town, with afternoon relax and explore the local market. After breakfast drive at the distance of 52 km taking two hours to reach at Likir village, as the drive leads past Leh with stop to visit Phyang monastery, a 16th century gompa built during the regime of king Tashi Namgyal, (story of this gompa it is thought that he was trying to seek forgiveness and build for his elder brother regarding a devious act that made him heir to the throne). After a visit of Phyang monastery drive continues on reaching at attractive Likir village In the afternoon, make short hike to Gompa (monastery) located on a small hill above the village next to Leh-Srinagr highway and the Indus River. 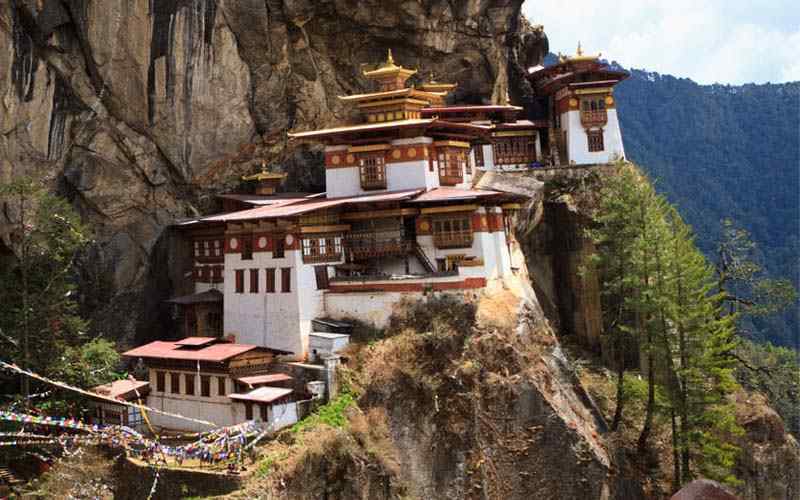 This monastery built in 1065 AD, original structure was destroyed by fire so the building at present about 200 years. 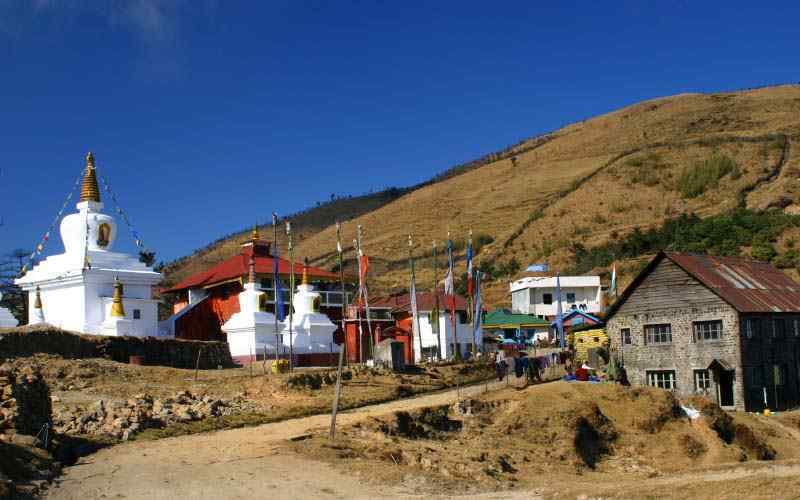 Here the monks are of Gelukpa sect of Tibetan Buddhism. From here walk downhill on a small path which leads to Likir Topko just after the chorten (stupas). Overnight camp is set near the village. Our Morning walk leads to a wilderness of barren country which is an extension of Tibetan vast plateau, the border to Tibet towards north. 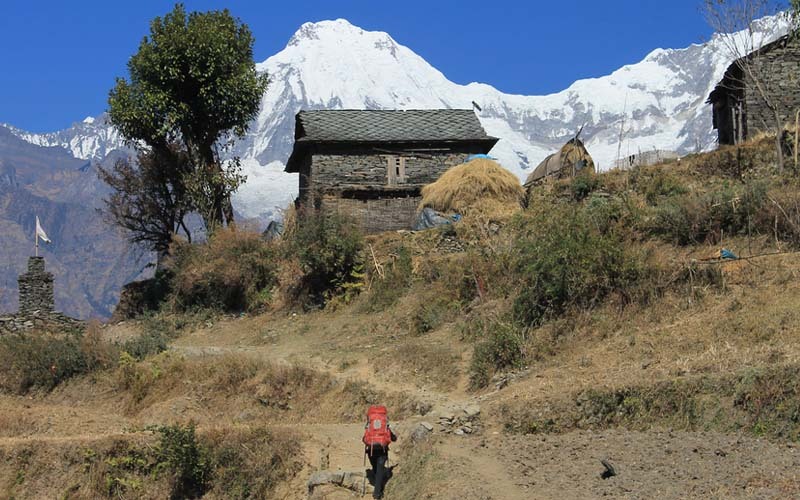 Walk leads past small streams and rivers and passes few farm villages and pasture fields and then reaches our overnight camp at Yangthang, a small spread out farm village, situated on the banks of Likir Topko, a tributary river of River Indus, a wonderful peaceful place after the drive. 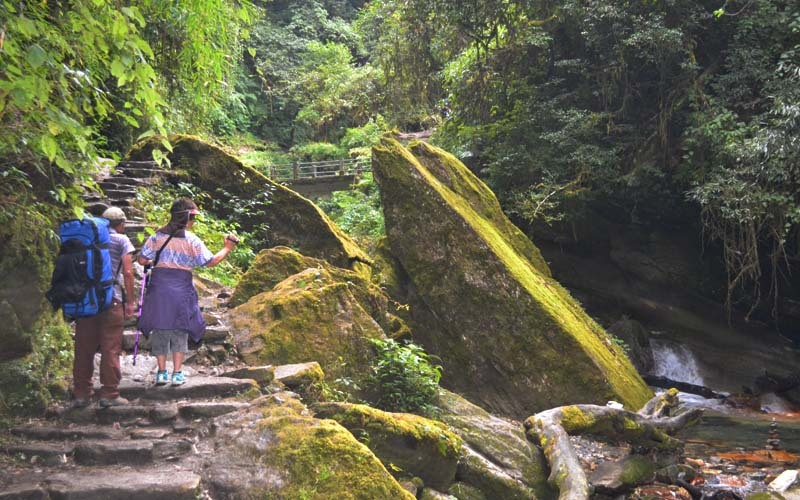 Walk descend gradually to a prosperous-looking village, following a path with a sign post to set the overnight camp near a primary school ground, afternoon at leisure or explore the local village and its monastery. After breakfast our journey continues in this fabulous country landscapes, although barren but with some trees around villages like the willows and small juniper bushes. Walk leads to a long descent to a nice looking Rizong village lined with tree lines of poplars and willows located in a small gorge. 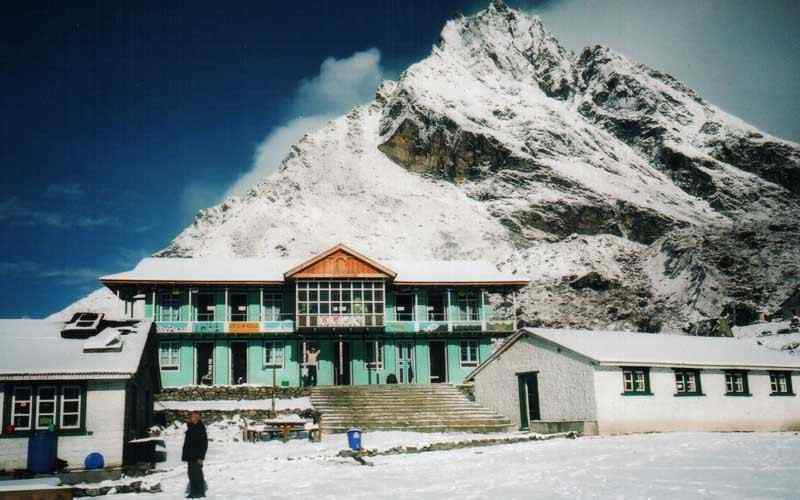 Upon reaching Rizong, a small village, visit the local Rizong Gompa (monastery) with stunning views of the valley and snow capped peak in the distance. 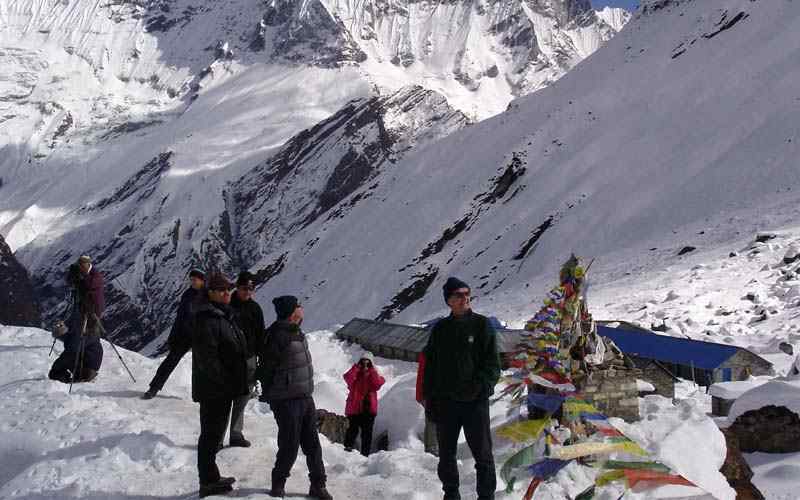 From the monastery the walk leads to a steep climb to a pass at 4,200 m-13,88 ft festooned with prayer flags and piles of rocks as religious monument. 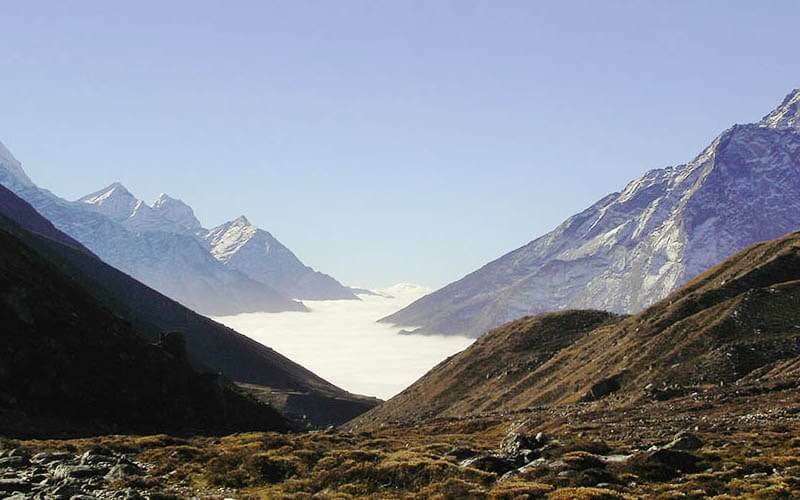 The top offers splendid views of Hemis-Sukhpachen village below. After a great views of the village and surrounding landscapes then descend for few hours to reach our overnight stop at wonderful Hemis-Sukhpachen village after a great trek of the day. In the afternoon with time explore this nice farm village and observe the sleepy village life. The morning walk leads over the wide green pasture land heading north-west direction skirting the side of this valley. After few hours’ trek pass a prayer monument (chorten). The trail branches off, the right fork passes a line of old and mature cedar trees to reach Themsigang, one of the largest and most prosperous village of this trip after Leh. This is a nice large village with well established community and cultivated fields with orchard garden. After a nice break walk leads for another few hours to reach Ang which is a moderate size village with camping place in the backyard of the village. After breakfast continue the last day walk for a short morning trek to a road head at Khalse, a small road side settlement greeted by a collection of run-down small tea stall and shops. 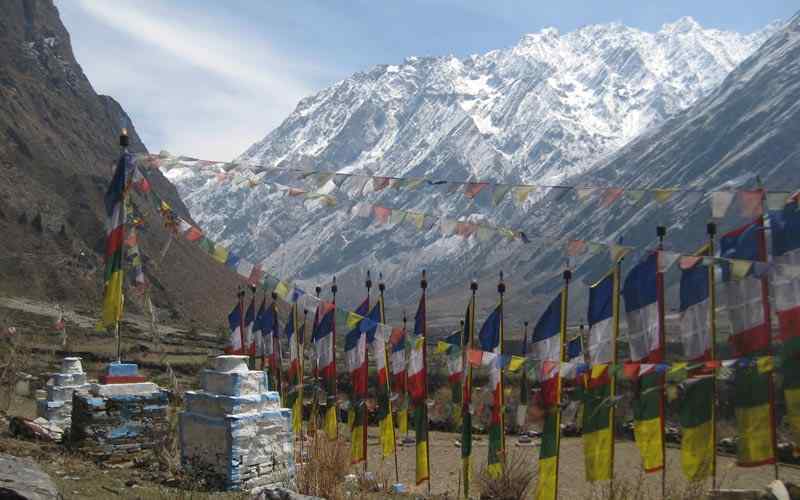 Our trekking concludes at this point and then take a jeep drive to Basgo on route to visit Alchi Gompa. After a pleasant tour of the monastery with interesting artifacts and fresco reaching the end the line of our wonderful journey at Basgo for an overnight stay in a local house — a rare opportunity to feel the real Ladakhie friendly atmosphere and warm hospitality of the locals. 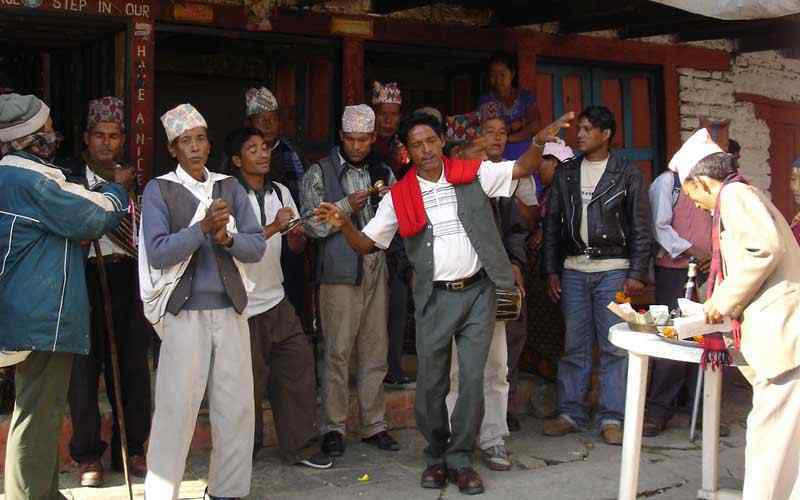 On this last day in the country village enjoy the night listening folk songs, taking part in the dance along with local foods. With great night and merriment at Basgo, drive in the morning to Leh. After few hours’ drive reach Spituk Gompa. Here visit the great monastery one of the important Gompa in Ladakh. After a great interesting time, drive continues for few hours to reach Leh for last overnight in Ladakh. On arrival check in the hotel with time for last minute shopping souvenirs and stroll around the market area. In the morning depart from the hotel. 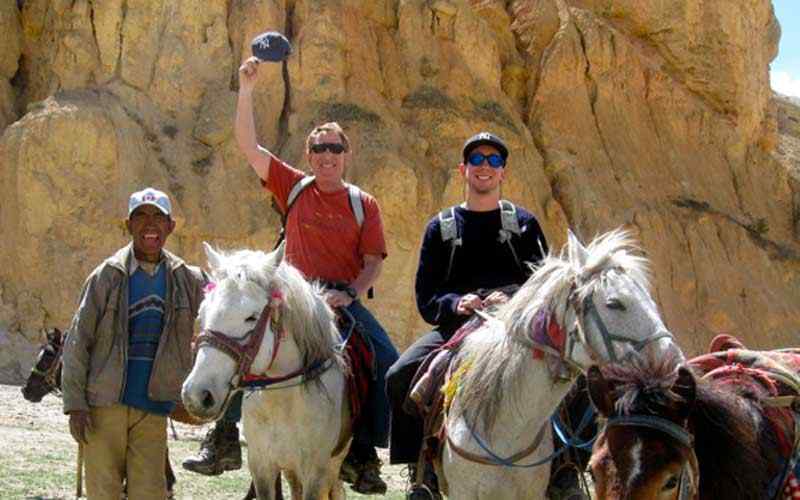 Our local guide will transfer you to Leh airport for the flight to Delhi. Farewell to Ladakh, friendly guides and drivers. Upon reaching Delhi, our Delhi staff and guide will transfer you to Agra with an interesting 4 hr drive of 225 km east of Delhi to Agra. 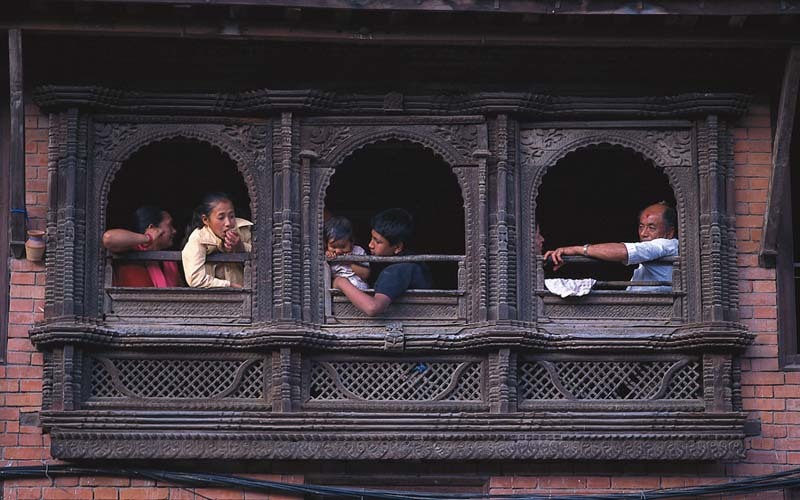 On arrival check in hotel rest of afternoon visit the small narrow street on this beautiful Taj City. Have an early morning tour of world famous marbled Taj Mahal with the Sun Rise. After a visit return back to hotel in Agra for breakfast and then drive back to Delhi for overnight and ample time for shopping and for short stroll around the interesting Delhi markets. Morning or evening as per your flight time, our staff or guide will receive you at the hotel for final departure from Delhi and India after a memorable and remarkable time with us, fabulous destination to Ladakh & tour of Delhi. 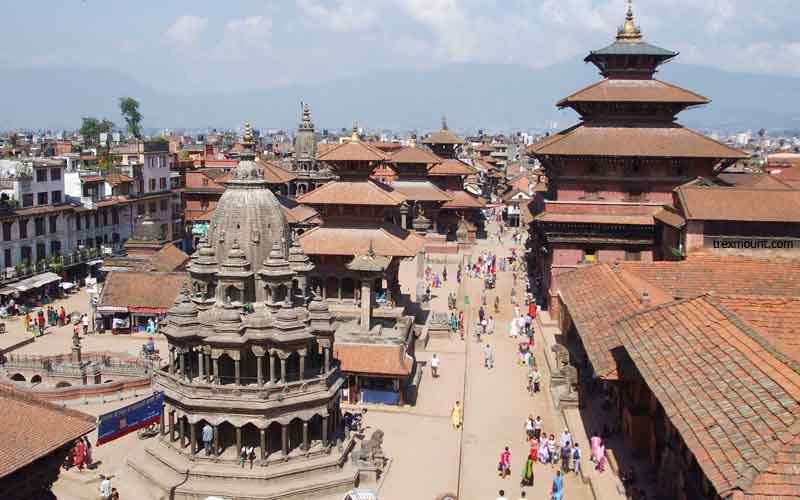 City guided tour & Ground transport by car, van or bus depends on group size, while sightseeing in Kathmandu. Applicable Ground transportation as per above itinerary. 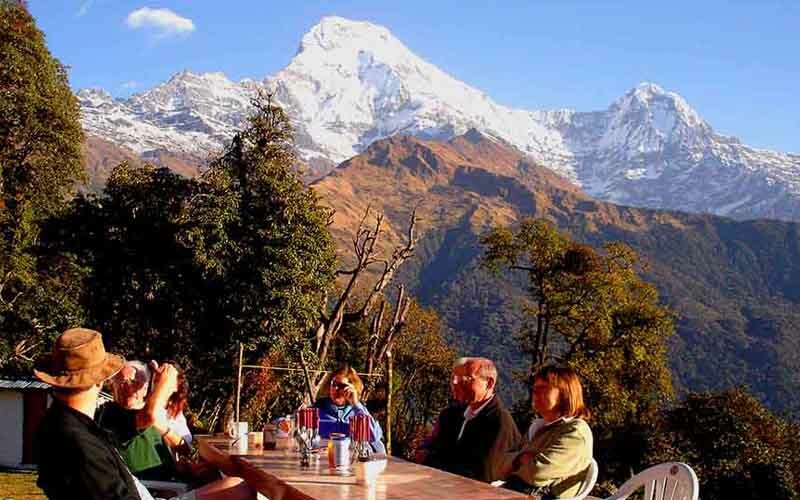 Flight tickets with Departure airport tax from Pokhara to Kathmandu. 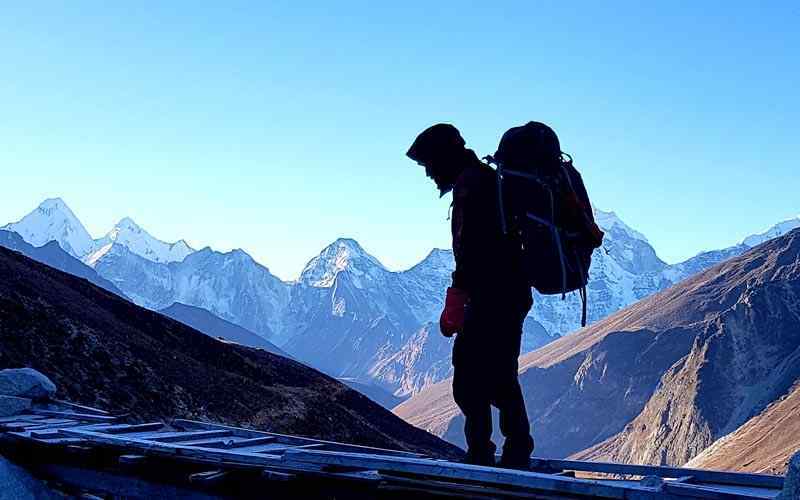 An experience guide, cook, kitchen staff and required number of porters, their food, accommodation, transportation, salary, insurance, equipments and so on. Private room during the trekking (Tea House section). Medical and emergency costs (Just incase). Bottled drinks (mineral water, any cold drinks, and alcoholic drinks).